​Former Sunderland captain John O’Shea has claimed 99% of the squad didn’t want Netflix’s documentary crew around for their humiliating 2017/18 Championship campaign. Aiming to bounce back after relegation from the Premier League in the previous campaign, Sunderland instead suffered another relegation. Sunderland ‘Till I Die was the latest part of a growing trend of fly-on-the-wall documentaries following the exploits of football clubs. From an entertainment viewpoint, the producers struck gold by being in the right place to document the Wearside club’s collapse. For the players though, the presence of a heavy film crew 24/7 was an unwanted distraction. The series shined a harsh light on some of Sunderland’s troubles and put underperforming players in the spotlight. Jack Rodwell’s high wages, Darren Gibson’s drink driving ban and Simon Grayson’s dismissal were all focal points in episodes. Grayson’s usually composed replacement Chris Coleman was even filmed clashing with fans as the club’s relegation was confirmed. Club captain at the time, O’Shea told the BBC: “From my point of view and I'd say 99% of the players, we didn't want it to happen. You go in in the morning, go in for a little bit of treatment and you realise there's little mini cameras dotted around." O’Shea admitted he hadn’t watched much of the series adding: "I have not watched all of it. I've lived through it so why would I need to watch it again? The few bits I've seen, I'm glad the people of the club in the canteen, the player liaison officer, the kit men, they are really good people and I'm glad they have come out of it looking well. 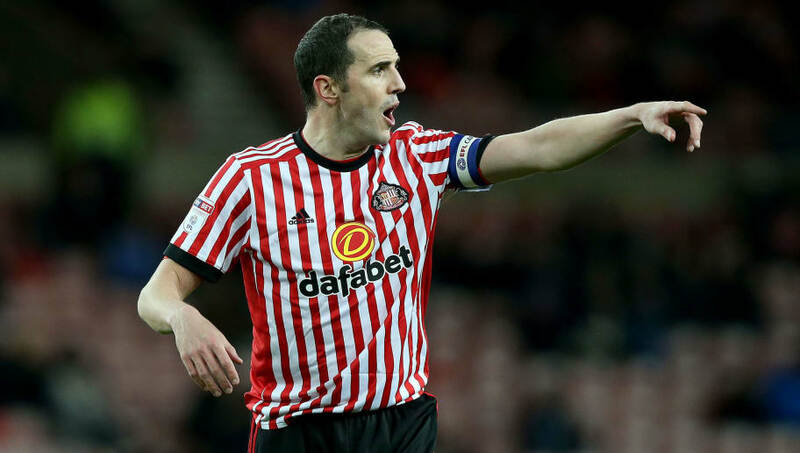 After seven years at Sunderland, O’Shea finally parted ways following the club’s relegation to League One, completing a switch to Reading in the summer. The Irishmen now faces the prospect of a third consecutive relegation, with the Royals struggling in the Championship this season. Sunderland, meanwhile, are going strong in League One and remain in direct competition with Portsmouth and Luton Town for the two automatic promotion places.